A new program for the fall 2017 semester will help working adults quickly earn an associate degree from Heartland Community College. 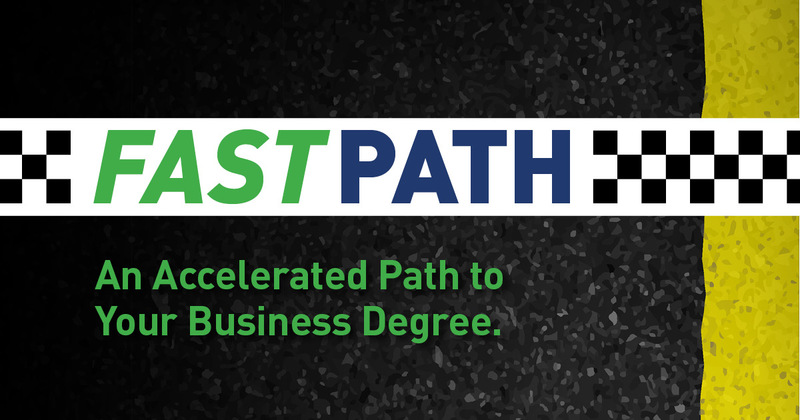 Fast Path is an accelerated, post-traditional program that allows students to earn an Associate in Arts degree in Business while taking classes part-time and completing in two years. Selected students for Fast Path will work as a cohort to complete eight-week courses that take place two nights per week in both online and hybrid formats. To be considered for the program, students need to be at least 25 years old, have a high school diploma or GED, and achieve required placement levels in literacy and math. Pearce adds that Fast Path is designed to prepare graduates to transfer and aligns with programs at four-year institutions such as Illinois State, Lincoln and Western. This kind of model, known as 2+2, lets students earn their associate degree at Heartland in two years and seamlessly transfer to a bachelor’s degree program. It also has the potential to become a 2+2+2 model if a student wanted to continue on and earn a Master’s in Business Administration. Those interested in Heartland’s Fast Path program can learn more online. Open registration for fall is now open. Applications for the program are due Tuesday, August 1 and 22 students will be selected for the first fall 2017 cohort.